Boil 1 cup of water and add the quinoa, let simmer until the quinoa has absorbed all the water (15-20 minutes). 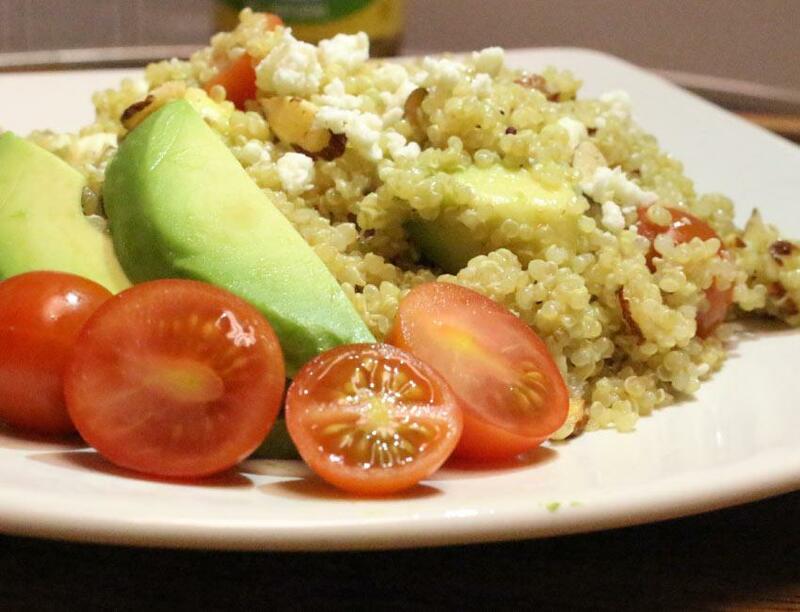 While the quinoa is cooking, prepare the dressing. Add Marukan Rice Vinegar, lemon juice, honey, olive oil, salt and pepper into a bowl and whisk together. Once the quinoa is finished, let it cool down in a bowl. Then add the avocados, cherry tomatoes, almonds and feta cheese. Finally drizzle your desired amount of dressing into the bowl, toss together, and enjoy!